Once you've found the home of your dreams and you're ready to make it yours, the real excitement begins. If you don't already have a real estate agent, now is the time to find one. 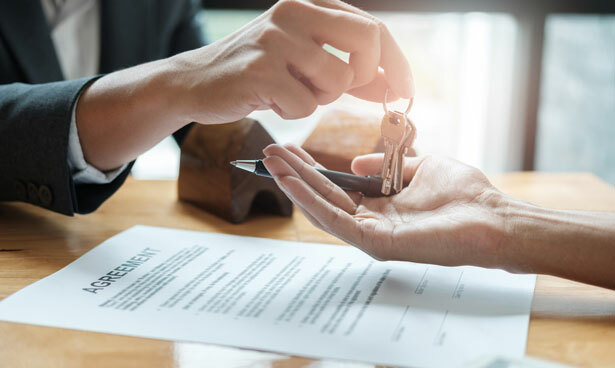 Although the seller's agent can help you, their job will be to look out for the best interests of the homeowner, so it's wise to have an expert to make sure you're getting a fair deal too. Your agent may recommend that you retain a real estate lawyer as well, and in some cases, it's mandated by law. Each region can have additional stipulations and regulations, but this quick guide will help you understand how the overall process of buying a home works. What area you wish to live in? How close is it to parks, shopping, work, transportation, etc? How many bedrooms, bathrooms, and garage stalls you need? What style of home you wish to buy? Hiring a professional REALTOR® is the most important step when buying a home. Your agent represents you, working in your best interest, educating you about the real estate home-buying process, and providing their negotiating experience to get you the best home. There are many relationships you can have with a real estate agent. Fill out the form to learn more about how I can help you achieve your home-buying dream. Qualifying for a loan: do not confuse loan qualification with loan approval. Even before you begin looking for a home, meet with a lender to determine how much you qualify for. Keep in mind that prequalifying with a lender does not bind you to that lender. Do not sign any paperwork that would obligate you to a lender at this point. It is recommended to always try to schedule showings 24 hours in advance. Last-minute showings are possible but should not be the norm. Once you've submitted an offer, the homeowner usually responds in one of three ways. They may accept it, in which case you can move on to the next step. On the other hand, they may also deny your offer or provide you with a counteroffer. In either of the last two situations, there is often room to negotiate. Your agent will help you sort out what's fair, and will have a good idea as to what the homeowner may negotiate further on, though you ultimately have total control over what alterations you're willing to accept. Although it takes a lot of work to get to the final signing, it's worth it. The documents needed to buy a home may be 100 pages or more, so plan to spend some serious time at the office reviewing them before you sign. All payments usually come out of the payment made to the seller, so after signing, you can accept the keys. Once you've signed, the house isn't yours just yet. You'll have to wait until you reach the occupancy date to move in. However, you can use this precious time to prepare to move into your new home and schedule services to start. Congratulations, you're a homeowner!